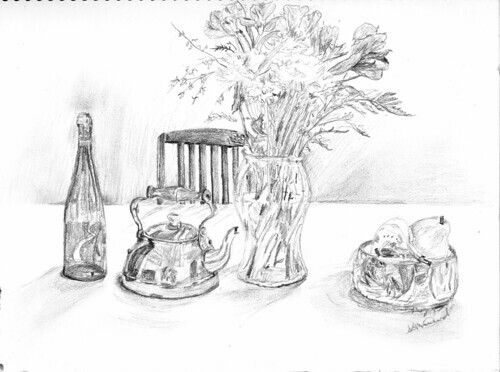 I love still life! Never experience it, but I think I would love it. Were that scene in my house, one grandkid would have taken the petals off and disected the flowers as a science experiment, one would have spilled the vase, and another would have overturned the chair and put blankets over it for a fort! The 4th would have tattled on them all!